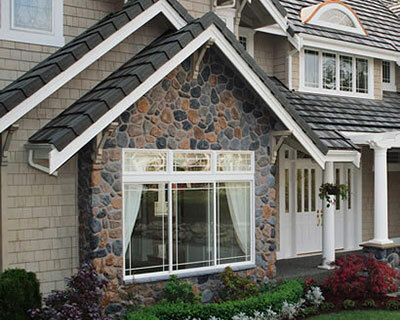 If you are looking for a company that can provide you with all your masonry needs, you've come to the right place. VanDerVart Concrete Products is the leading supplier of high quality masonry products in East Central Wisconsin. We have already served countless clients from Sheboygan, Plymouth, Manitowoc, and nearby cities, and all of them can attest to the quality of our products and services. Trust only in a company that is honed by more than 125 years of experience in the concrete and masonry business. Allow us to become your partner in your home improvement or construction projects by calling one of our sales representatives today. With VanDerVart Concrete Products, you'll get high quality masonry products and supplies at prices that you can afford. At VanDerVart Concrete Products, we manufacture some of the concrete and masonry products that we offer to our residential and commercial clients. We have state-of-the-art facilities and equipment for our ready-mixed concrete and concrete block production, making us capable of supplying all sizes of construction projects in the areas we serve. Our products are manufactured using industry standards to give our clients high quality, durable products. We are also meticulous in choosing our partner suppliers. We only choose companies that can provide masonry products that meet or exceed our strict standards. This is part of our aim to continuously provide our clients from East Central Wisconsin with the highest quality products available. With these as our partner suppliers, we can easily cater to the needs and requirements of DIY homeowners, landscapers, retail customers, building contractors, and those in the agricultural sector. VanDerVart Concrete Products is a one-stop shop company for concrete and masonry products. We ensure our showrooms have complete construction materials and supplies so clients like you will be able to purchase all your masonry needs under one roof. Since you will be dealing with one company for all your construction materials, you’ll be able to save time, money, and fast track the completion of your projects. Our strategic location is another advantage of our company. We have three sales offices in Wisconsin to give you easy access to our premium masonry products. And to avoid project delays, we provide fast delivery of your purchased materials. This is a partial list of masonry products we offer. Please visit our showrooms in Sheboygan, WI or New Holstein, WI to see our complete range of products and supplies. You may also call one of our sales centers and inquire about the availability of your needed masonry item. Call 920-459-2417 (Sheboygan) or 920-898-5771 (New Holstein) now. We provide service to the following counties, cities and towns in East Central Wisconsin. To determine if we service your area please contact one of our sales representatives at 920-459-2417 (Sheboygan), 920-898-5771 (New Holstein) or 920-683-5580 (Manitowoc).